Howdy friends! How on earth has it been three months since my last posting? Isn't that equal to an eternity in blog land? In all honesty, I think that having an Instagram account ( @dandelion_house ) has made a lazy blogger ( and blog reader ) of me and I miss it! I love IG, but it's time for me to dust off this online journal of mine and get my thoughts out to you in words AND pictures! Each growing season teaches me something new and as always, I'm excited to share it with you. I hope ( and pray) you're still there dear friends, for fall and winter are upon us and we have loads to catch up on! Let's start with summer. I hope you were able to squeeze out some time to make some fine summer memories with family, friends, and FLOWERS. It's a fine balancing act I know! Our summer started slow with a cool June that seemed to linger into mid-July. I got most of my tubers and seeds in on Memorial Day Weekend and continued sowing seeds for few more weeks with a late sowing of Sun Flowers and Cactus Zinnia at the end of July. Hopeful as always for heaps of flowers, by late July reality set in that we were experiencing an extreme drought in coastal Massachusetts. A water ban went into effect for anyone on town water. We have a well, but that didn't make it any easier. 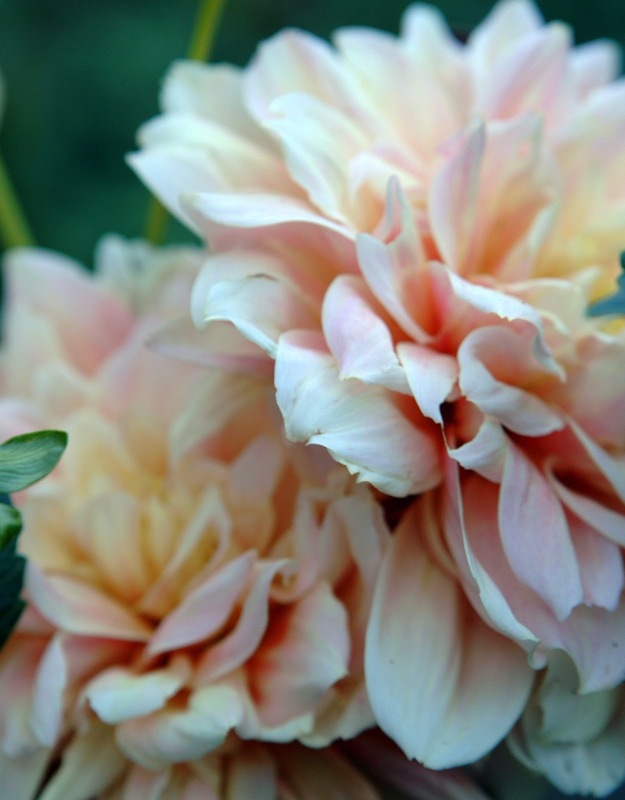 I still felt it was necessary to be conservative, but if you grow dahlias ( and most other cut flowers) you know they need consistent watering to set blooms. This was the year of the Pan-tone color pallet. 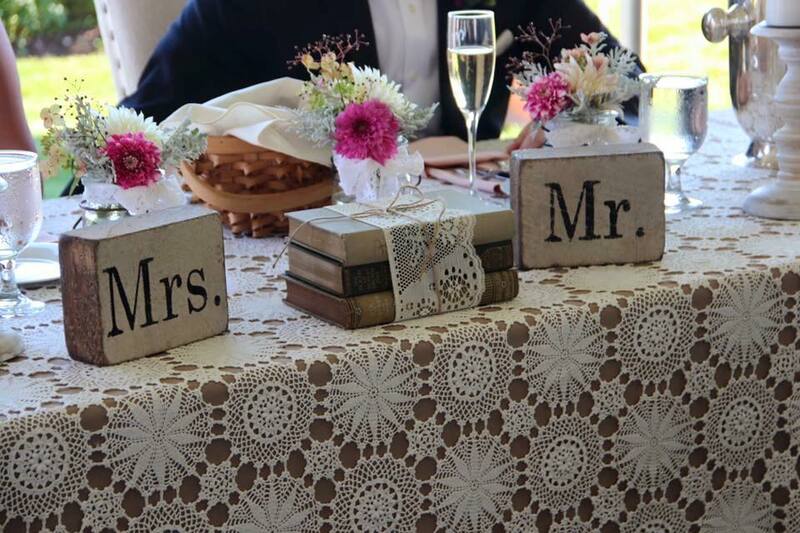 Soft pinks and aged ivories reigned again for the top wedding colors. As the desire for local wedding flowers increases, I've added more of these soothing shades of dusty pink and white to my collection. 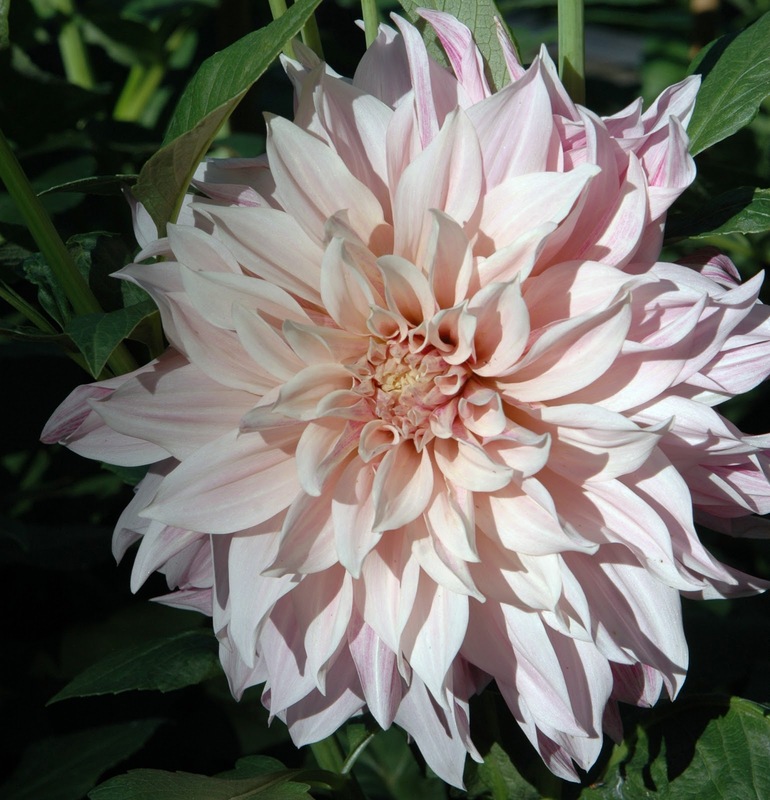 The Cafe Au Lait dahlias rocked it as usual and they're still blooming. Bright yellows and solid whites with pretty true greens are coming in hot for 2017 which is a bold and exciting change, but as a grower first, my passion is about growing healthy plants that thrive in my zone. As farmer/florists we have an opportunity to introduce people to flowers and foliage's that are truly seasonal. Doing so helps us establish a signature style which reflects the region we live in. Flowers for an August wedding. My kitchen island becomes a temporary floral studio the night before a wedding. Doing weddings are stressful. Not because growing and designing is so hard, but because so much is on the line. I only get one chance to get it right. Luckily I've had the pleasure of working with such sweet brides ( and mother of the brides). 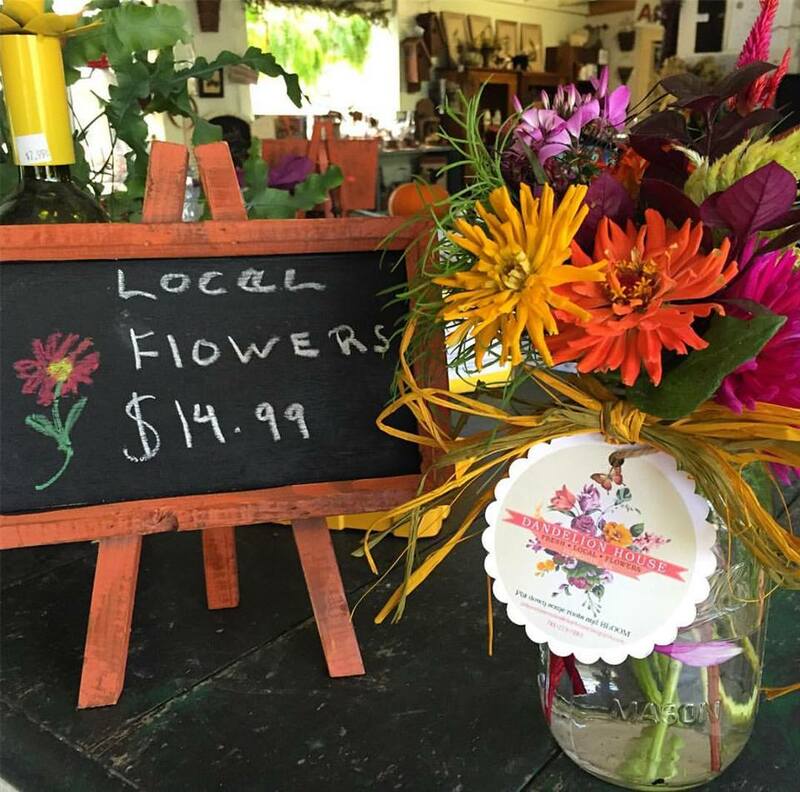 It's been my experience that people who choose local flowers understand there is a need for flexibility and seem to enjoy an element of surprise. After all, we growers are at the mercy of mother nature which only enhances our creativity. I thrive on that pressure. It often means running around my gardens finding interesting foliage and textures to add to the mix last minute. 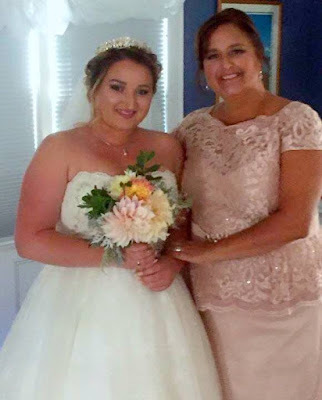 Happy bride and mother of the bride. This was the first year I grew specific flowers for specific weddings. Anna's romantic vintage inspired wedding called for a casual, loose feeling with lots of soft pinks and greens with small pops of bright pinks and corals. 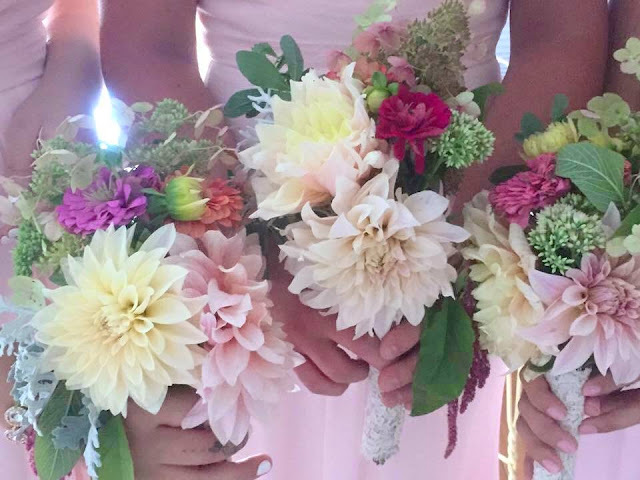 Dahlias and zinnias were the feature flowers paired with aged hydrangea, sedum, dusty miller and amaranth for texture. All sourced from my cut flower gardens and borders. 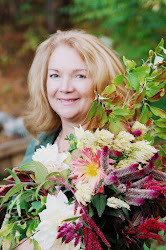 I enjoy all the hard work that goes into growing and designing with flowers. But when the bride and motb cry at the "first look" of the flowers, that's when I know my flowers and I have done our job. My bucket run'th over! I love being part of the local flowers movement. 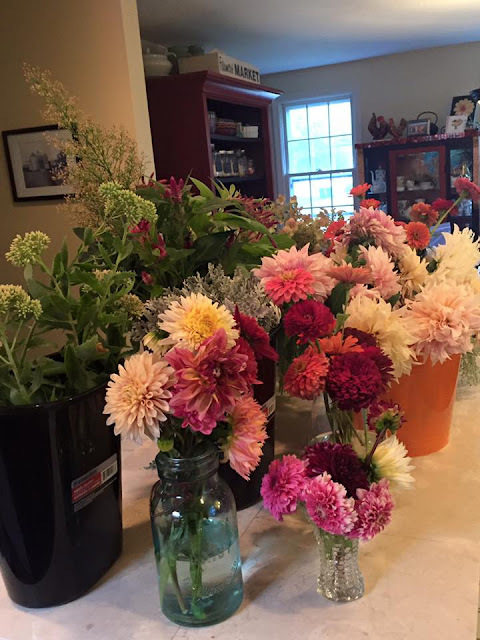 I'm lucky that the nursery where I work part-time supports my efforts by letting me sell my grab n go mason jar bouquets there. The nursery has 18 greenhouses where they grow most of the garden shop inventory. These hardworking growers are passionate, hardworking folks who walk the local talk. Kati, the crafty DIY bride. My backyard blooms found their way to hospitals, nursing homes and were given as hostess gifts too. 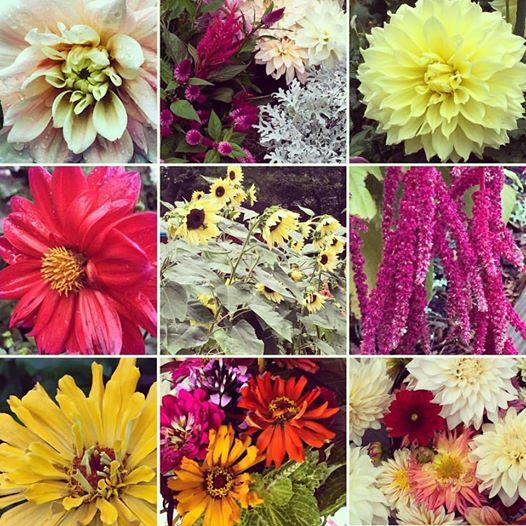 Another batch of early October blooms will appear in an article for Early Homes Magazine. We're getting around in a good way! 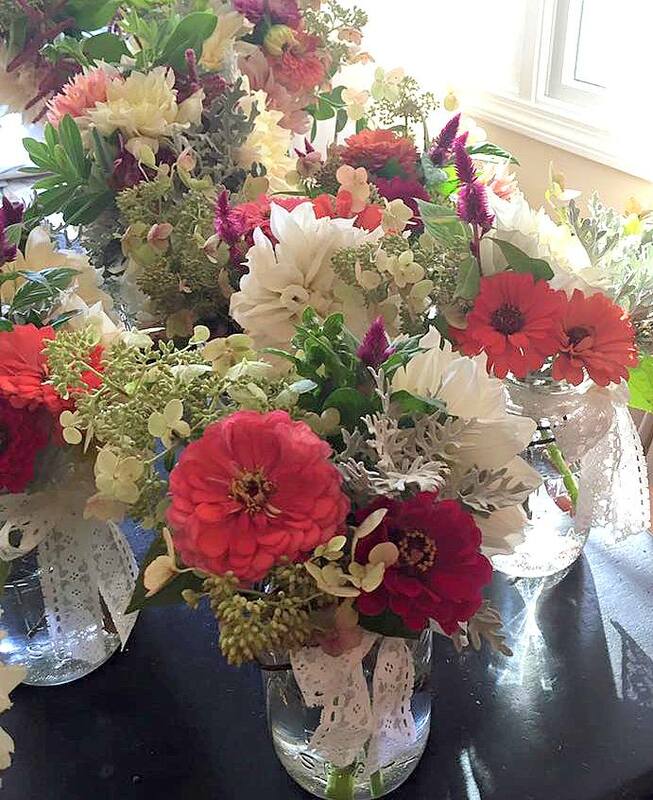 In between work at the nursery, tending my gardens here at home I try to find time to create bouquets just for fun. This arrangement was inspired by the splendor of September. 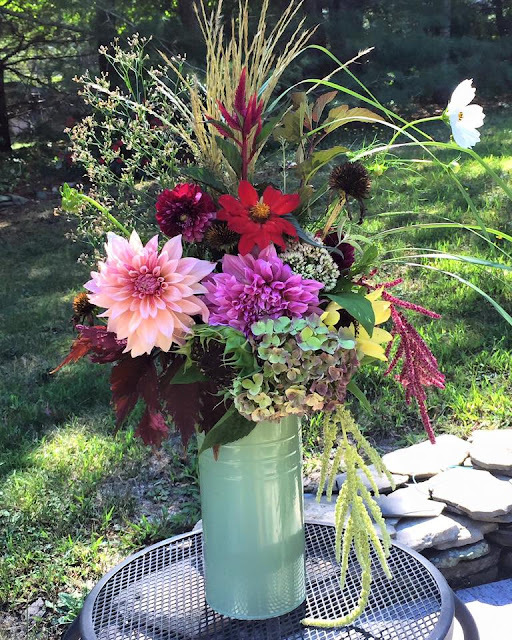 It features dahlias, hydrangea, zinnias, amaranth, cone flower seed pods, ornamental grass plumes, cosmos, coleus, sunflowers, nine bark, and a pretty weed that I don't know the name of but I loved the texture. ( top left of the arrangement) Maybe you can identify it for me! While I always love sharing my progress with you, it is my ultimate wish that you'll be inspired to start small just like me. If you're like I was in 2012 and have BIG DREAMS of being a flower farmer, but aren't planted on what you would consider your ideal plot, start small and get growing in your own backyard. 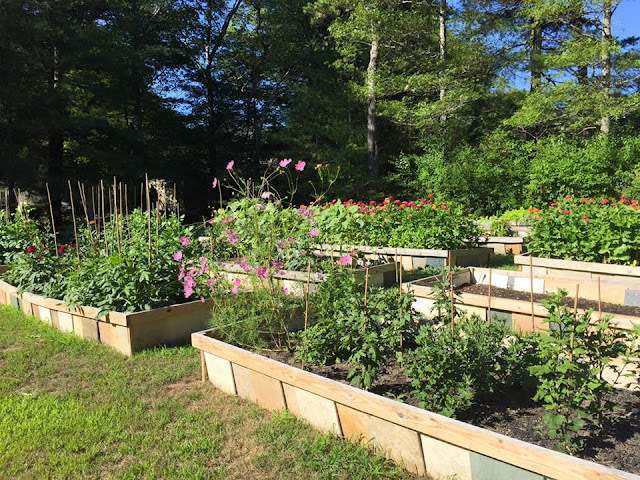 I started with 8 4x12 raised beds and added 5 more last year. Think of it as your micro-flower farm experiment. 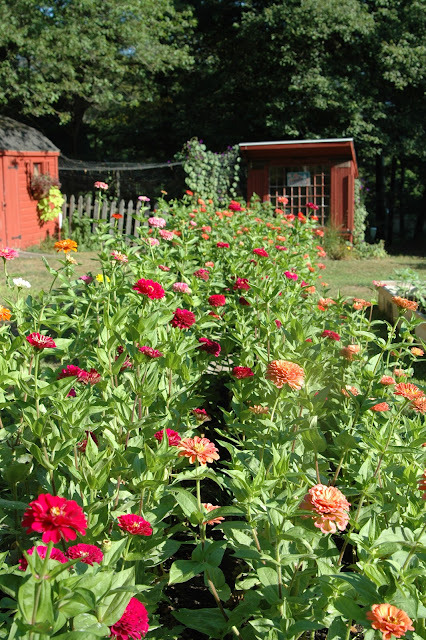 Your backyard is the perfect training ground for when you put on your big flower farm-HER pants and move on up to field grown or hoop house flower production. To sum up this season I'd like to say there were more happy surprises than set backs. From the farming aspect, I was able to keep pests at bay on the dahlias, but powdery mildew got the better of my zinnias after the first flowering. Good thing I planted a late crop of them for insurance. The long drought and heat stressed the dahlias but they didn't succumb. 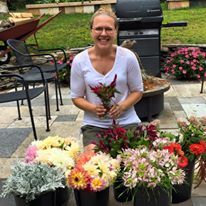 I hand watered them regularly, treated for pests, and harvested enough blooms to satisfy a variety of occasions and clients. I tried several new plants including, cleome, amaranth, scented geranium, several coleus varieties. I'm most excited about the Kings Mums I planted. They are finally beginning to bloom. I promise to share more as I learn more about them. The best part of this season are the wonderful people that I never would have met if it weren't for flowers. There's so much inspiration out there to keep you juiced up. 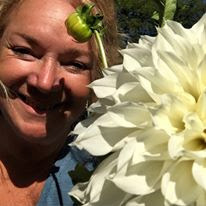 One of my favorite places to visit for motivation is Debra Prinzings Slow Flowers Podcasts. I Love her live interviews with local growers. Each one unique and inspiring. 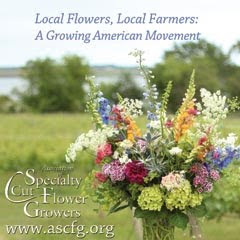 You'll hear direct from the farm about all things growing, designing, and teaching with local flowers from talented established and up and coming farmer/florists. Be sure to visit Eden Brothers for their preseason sale on seeds and tubers going on right now. 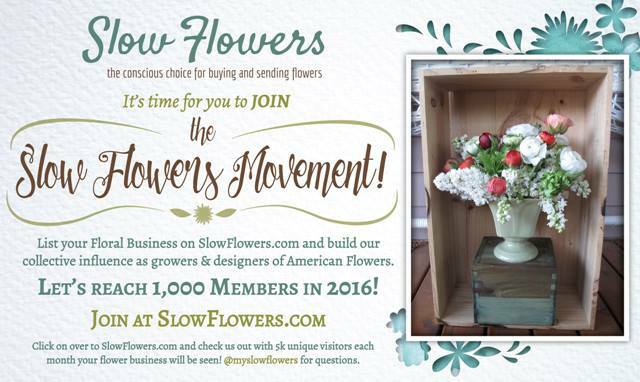 The Flower Farm Renaissance is here to stay and there's is room for everyone! Here's a little flower-food for thought. That's what I want you to do. Put down some roots and BLOOM! Please stay tuned! I promise not to go away forever again! Hugs and Happy Harvest Season.